Dendrobium orchids, roses, and white lilies converge to create a display like no other! Juniper frills add volume and texture at the edge to complete the effect. 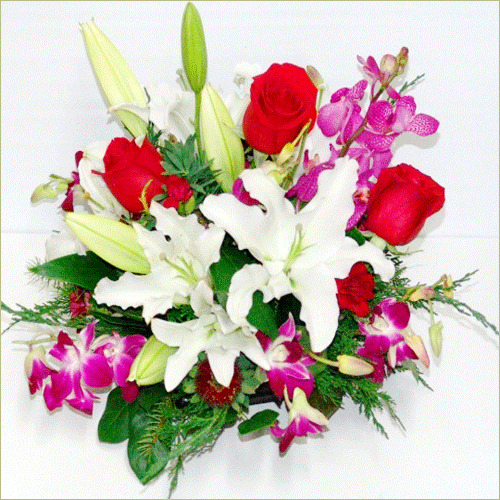 Premium arrangement includes 14 stems.